On Thursday, legend rapper Eminem has dropped a trailer for his forthcoming music video “Good Guy”. Eminem has revealed that the visual will feature the rising artist Jessie Reyez. The teaser trailer is packed with tension and opens with Reyez who is out of breath as she pulls herself up from the ground. She is covered with mud and dirt. It then cuts to her standing opposite of a hooded man who is portrayed by Eminem himself. The two share a long moment of tensed stares. Reyes finally reaches for a knife and the clip smash cuts to black. “You can’t be the cheater, convincin’ nonbeliever. And I ain’t in my feelings, I’m out but I let you say that you’re the good guy”, Jessie Reyez sings. The single “Good Guy” belongs to Eminem’s latest debut album Kamikaze which had dropped at the end of August. 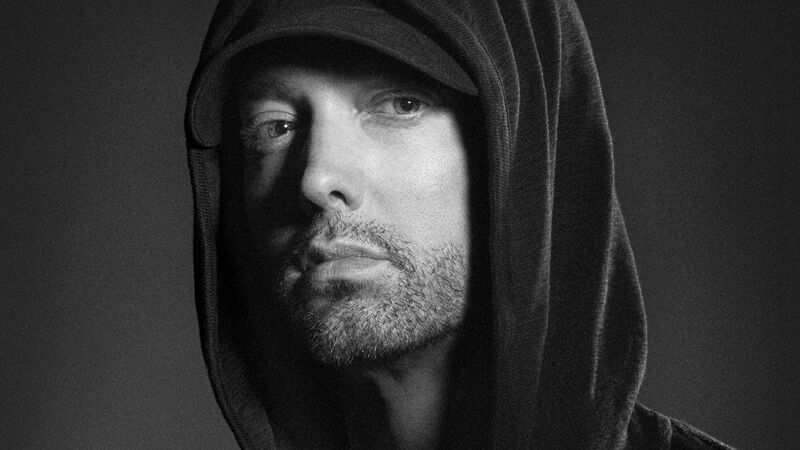 It serves as a follow-up to the rapper’s previous visual “Lucky You” which had been assisted by Joyner Lucas and is also part of Kamikaze. The epic music video will be released on Friday at 12 p.m. ET on Eminem’s website.